In Pakistan, the kite festival during Basant Panchami remains unparalleled to date. The highly competitive sport takes on a serious turn around this time. New Delhi: As the sun shines a bright yellow over streets that were swept with snow and hail until just a day before, the nation ushers spring in great cheer on Sunday. 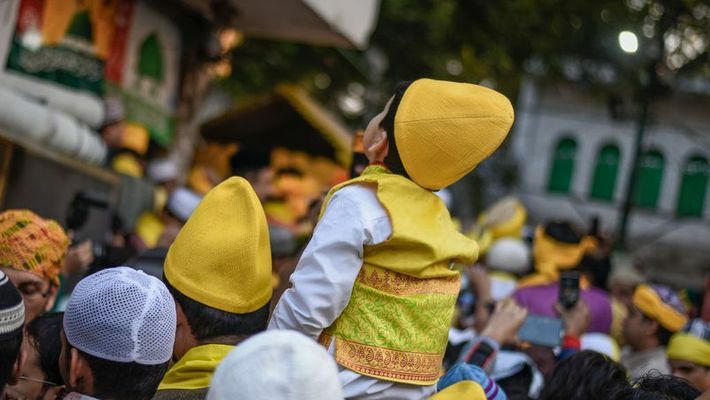 Call it by any of its names — Basant Panchami or Saraswati Puja — here is a festival, which, through history, has gone beyond religious and regional boundaries to spell unity and fresh hope. The festival is celebrated by Hindus, Sikhs, Jains and Muslims in Nepal, Pakistan, Bangladesh, Indonesia and world over by South East Asians. While people wear yellow and make offerings of yellow flowers and saffron feasts to Goddess Sarawasti, initiate their young ones into writing their first words, celebrate the creative arts and forces of love and longing and Lord Kama breaks Shiva’s meditation to facilitate his union with Parvati, other cultures have their own rich ways of observing the day. The Sikhs, especially Namdharis, are ardent merrymakers who wrap themselves in flamboyant golden turbans that reflect the richness of their fields aglow with mustard harvest. It was believed that back in 1825 CE, Maharaja Ranjit Singh donated a huge sum to the Golden Temple to make food for pilgrims on the occasion. He and his queen Moran were known to enjoy kite-flying in their ravishing yellow robes as the kingdom would rejoice. A special court would be held in Lahore on the fifth day of the ten-day celebrations, when his men would march down in resplendent yellow to show the spirit of might and glory. And the legend lives on to this day across that side of the border. In Pakistan, the Basant kite festival remains unparalleled to date. The highly competitive sport takes on a serious turn around this time, as huge teams match their best talents and the rooftops turn into big party grounds. A colourful mosaic of patterns, shapes and sizes fills the skies as cultures mingle freely with the underlying spirit of hope and joy. The festival has a special place for the Sufis too. It is believed that poet Amir Khusrau saw Hindu women carry yellow flowers to a temple on the occasion and they were dressed in yellow, so he adopted this practice into the Chishti order of Sufi Indian Muslims. They are used to mark the grave of the Muslim Sufi saint Nizamuddin Aulia in Delhi. MyNation wishes its readers a great beginning to a spring of unity, hope, joy and prosperity!